Storm X-men digital painting tutorial part 2. 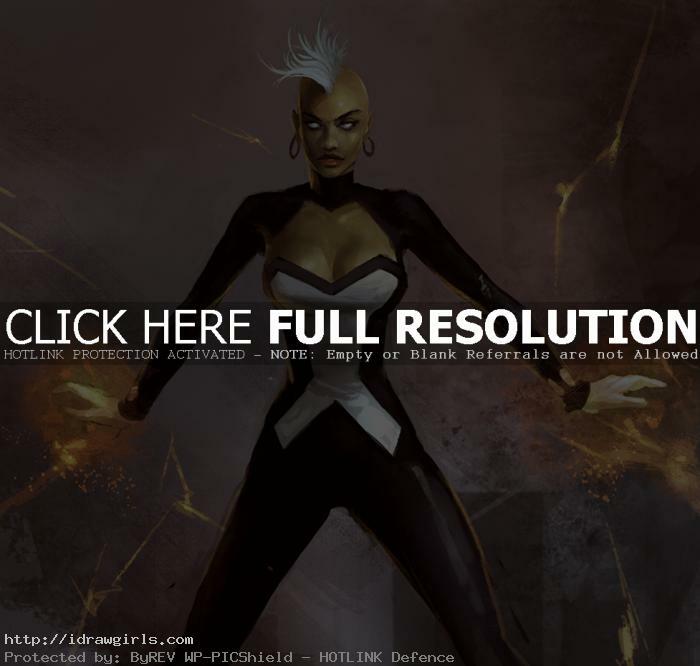 This tutorial is the second part of the Digital painting tutorial Storm X-men part 1 of 3 Learn how to draw and paint Storm a character from Xmen comics. Storm digital painting lesson, a painting video series of comic book characters that will help you gain knowledge of anatomy and dynamics in the positioning of the figure and the details. This part, I focus more on refineing her facial feature, basically make her prettier. Also I redefine her upper body a lot more since the first part I only focus on loosely painting light and shadow.